MaxSonar Troubleshooting Guide | MaxBotix Inc.
Our sensors are improved to not allow unstable readings. Occasionally unstable range readings occur. Within this tutorial, we will explain how to identify, troubleshoot, and eliminate the cause of unstable range readings. This will work for all sensor lines. Start troubleshooting with a single sensor and this simple test. This test is designed to make sure the sensor is operating properly. First turn the sensor off and then place a piece of tape over the entire sensor face. Any tape will work for this part of troubleshooting. After you have placed a piece of tape over the sensor face, power up the sensor. 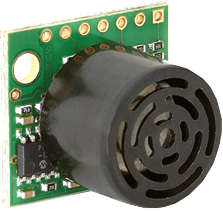 With the sensor powered up, The outputs should report a consistent reading of the minimum or maximum reported distance. Unstable readings may indicate an electrical noise issue. If the sensor’s reported range is stable, jump to “Eliminate Mechanical Noise” and continue. If the previous test continued to have unstable readings, there could be electrical noise. This section will typically eliminate any electrical noise that may be present. If you view Figure 1.1 through 1.3 you will see a power filter that helps eliminate electrical noise being introduced to your MaxSonar sensor. If eliminating electrical noise did not solve the unstable readings, you may have mechanical or acoustical noise that needs to be eliminated. If the sensor is vibrating due to movement, try to use a foam or rubber mounting instead of a hard mounting. If using a foam mounting doesn’t solve the unstable range readings, look for other 35KHz-45KHz acoustical noises; some motors can cause both electrical and mechanical noise. The easiest way to know if there are 35KHz-45KHz acoustical noises is to isolate and remove the sensor from acoustical noise sources. For getting your desired output working, we suggest a hard flat target about 36 inches away that is not a carpeted floor. Please verify that you have done the steps that preceded this step. If your TX output is not working, verify the equipment is set up to read the appropriate type of serial data: RS232 or TTL. The appropriate type will be noted in the datasheet. Also verify a BAUD rate of 9600 (57600 for USB sensors), 8 bits, no parity, and one stop bit. If your Analog Voltage data is unstable, you will have to filter the Analog Voltage output. We recommend using a Median Filter or a Mode Filter. Optimizing Your Sensor for Your Application and Target. You will need to move the sensor until it is perpendicular to the target you are looking to detect if the target is flat and hard but off axis to the sensor. 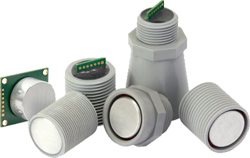 Because of the peculiar nature of ultrasonic waves, ultrasonic sensors require that a target is on an axis. If you have off-axis targets that are getting ranged on all outputs, you may want to consider switching to a less sensitive sensor with a narrower beam pattern. An example of this is if you are using XL-MaxSonar-EZ3 you may consider switching to an XL-MaxSonar-EZ4 or LV-MaxSonar-EZ3. If your target surface is soft, meaning it does not reflect a lot of acoustic sounds back to the sensor you are using currently, consider using a more sensitive sensor. If your intended target surface is uneven, you may need to use a more sensitive sensor. For example; the human body can reflect energy from many areas with clothing. This may cause apparent changes in measured distance. Please verify the steps above first before doing this step. If you are still not able to range to the intended target or targets, you may need to add more sensors to detect the target or targets you are looking to range to. If you choose to add more sensors we recommend using a Chaining Method. 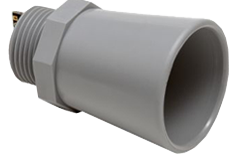 The XL-MaxSonar-WR is our most popular weather resistant sensor designed for outdoor detection and ranging…. 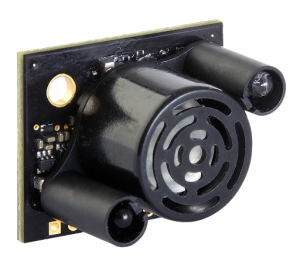 The weather-resistant HRXL-MaxSonar-WR is a rugged, ultrasonic sensor component module….